During the midnight shift, footsteps from a mentally ill lady that had died in the building could be heard coming down the hall, her slippers scuffling along. Sometimes she was seen walking up to a door and going through it. Sounds of slamming doors were heard frequently throughout the night. People who were confined to beds reported seeing her and watching their doors close by themselves. The nursing home was torn down in the fall of 2005 to make way for a new road. 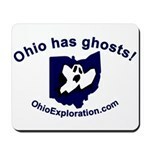 This entry was posted on Friday, October 29th, 2010 at 10:43 am	and is filed under Marion County. You can follow any responses to this entry through the RSS 2.0 feed. You can leave a response, or trackback from your own site.